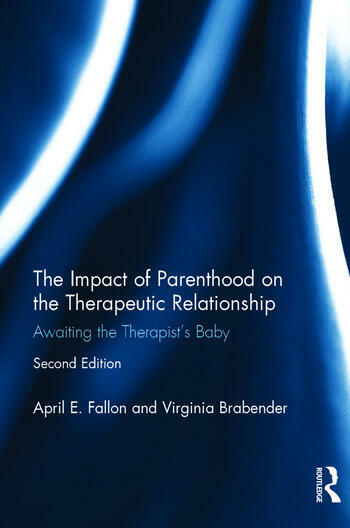 This volume covers the range of reactions that both patients and clients have to the circumstance of a child entering the therapist’s family. Through research, the authors show these reactions can be extremely powerful, and when fully explored can be used to advance the therapy and the development of the patient. Rich clinical illustrations are provided throughout the text. In addition, the reader is offered many therapeutic strategies for working with patient-therapist reactions as they unfold. Many practical issues arise in conjunction with this life transition. Examples include announcing a pregnancy or an imminent adoption, planning parental leave and covering the patient’s needs during the hiatus. In this second edition, therapists who are members of LGBT families and single parent families are described in terms of their special needs, challenges and resources. This updated edition also contains a new chapter on special problems that can arise during pregnancy. April E. Fallon, PhD, is a faculty member of Fielding Graduate University and clinical professor at Drexel University College of Medicine. She has published books and articles on the adoptive parent, group psychotherapy, therapist pregnancy and body image. She has taught and supervised psychiatric residents and graduate students in clinical psychology for 30 years. Virginia Brabender, PhD, ABPP, is a professor within Widener University’s Institute for Graduate Clinical Psychology. She has published books and articles on the adoptive parent, group psychotherapy and psychological assessment. She has taught and supervised graduate students in clinical psychology for over 30 years. She is on the editorial board of the International Journal for Group Psychotherapy and the Journal of Personality Assessment.